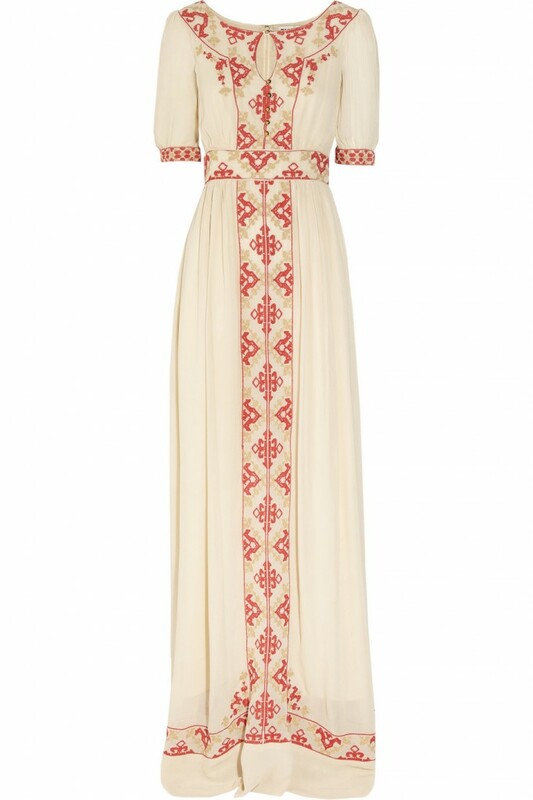 The "Beatrice" is a maxi-dress from Alice by Temperley. 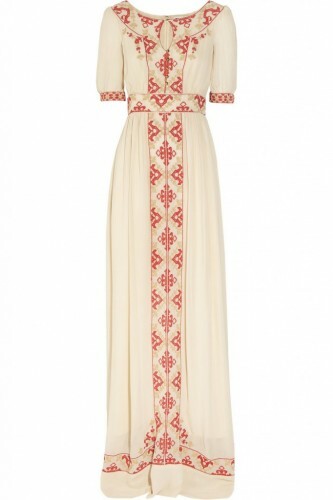 A neutral crepe chiffon embellished by coral stitching along the neckline, sleeves, waist, and skirt. Retail: $795.